ISC results 2016 to be declared on May 6: Check your class 12th result at cisce.org, careers.cisce.org. The results for ICSE Class 10th and ISC Class 12th examinations will be declared today. ISC results 2016 – The results of the Class XII (ISC) 2016 Examination will be declared on 6th May, 2016 at 03:00 PM. This year, the results are going to declared two weeks earlier than when they used to be in the previous years. The results of the ICSE and ISC 2016 Examination will be made available through the www.cisce.org Careers portal of the Council, the website of the council and through SMS. The schools can access the 12th ISC Result 2016 by logging into the Careers portal of the Council using the Principal’s login ID and password. 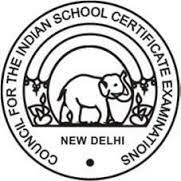 About Indian School Certificate (ISC): The Indian School Certificate (ISC) examinations are conducted by the Council for the Indian School Certificate Examinations (CISCE), for Grade 12 (i.e. 12th year of school). A student usually attempts this examination after first completing the Indian Certificate of Secondary Education in Grade 10, although the completion of a recognized equivalent level of education is normally sufficient. The examination has been designed to provide an evaluation in the field of general education. The exam criteria are in accordance with the recommendations of the Indian New Education Policy of 1986, through the medium of English and also regulated by University of Cambridge. All those students who are eagerly waiting for their ISC results can heave a sigh of relief as the board is going to declare ISC Class 12 results at 3 pm today. The results of the CISCE ISC Board Examination 2016 are being announced two weeks earlier than previous years. Students are eagerly waiting for their ISC 12th Result since the exams got over. We have been providing you with the latest updates on your results on priority. So, stay with us for more updates on results. Enter correct Unique ID and Captcha. Students please connect with us and for more information regarding ISC Board 12th Result visit here. Here in this post we have mentioned that candidates will able to check Cisce.org 12th ISC Result 2016 on 6th May 2016. We wish all the very best to the students for the ISC class 12th examination results.